We offer differentiated support across the 25 certificate areas, which includes all 16 disciplines and six developmental levels spanning Pre-K through 12th grade. Targeted support, identified as grant priorities, are offered through the 2017-2018 and 2018-2019 school years in the domains of STEM (science, technology, engineering, and math), English as a New Language, and Exceptional Needs (special education). These targeted grant priority areas are historically difficult content areas to staff in our state. 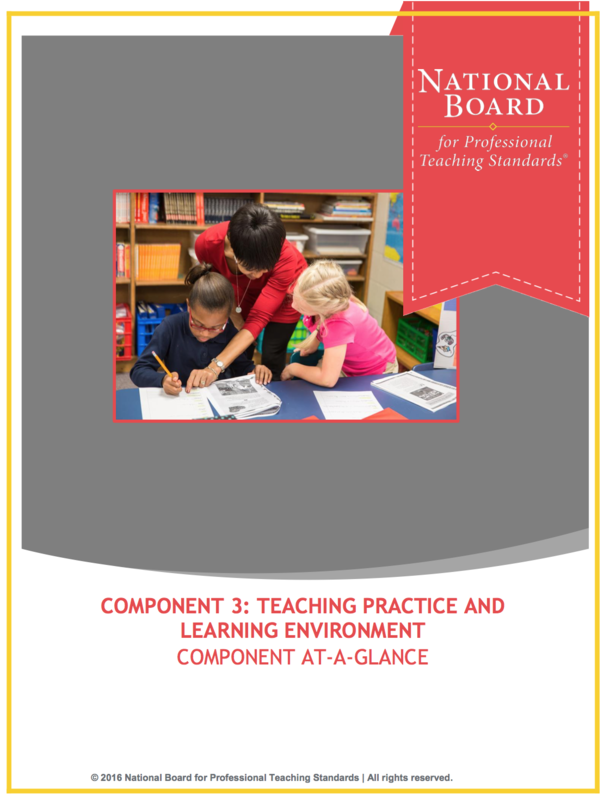 Standards-based evidence is the core of the certification process and requires that teachers provide documentation; grounded and aligned with the Five Core Propositions, of the positive impact they have on student learning. This process requires evidence across four Components in which candidates must demonstrate their participation in learning communities and must offer evidence of ongoing reflection and continuous learning. Evidence must also be provided for understanding their students, and using data and assessments to inform their teaching practice. A deep understanding of content knowledge must also be exhibited. Join the 637 National Board Certified Teachers in Nevada who have traveled the journey of accomplished teaching. Please select the Component you are pursuing for differentiated and specific information. This component measures what you know about your content area, not how you deliver the content to your students. Component 1 can be completed at any point during the certification process. A computerized assessment provides evidence of your competency in this component using multiple choice and essay response options with some certificates using exercises to connect content knowledge across disciplines. This component measures differentiation in teaching and is evidenced by a portfolio submission of written commentary and analysis of student work samples. 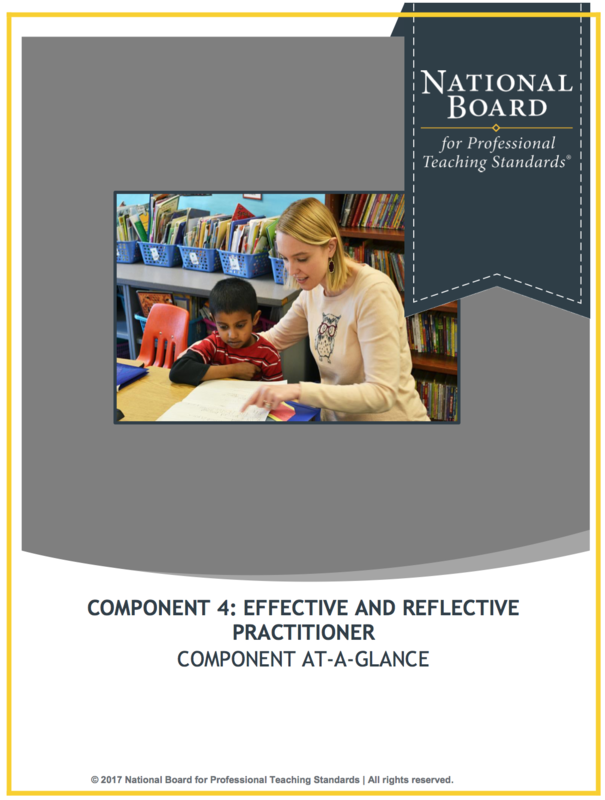 Component 2 includes elements of how effectively you are able to plan and teach, as well as describe, analyze, and reflect on your teaching practice. 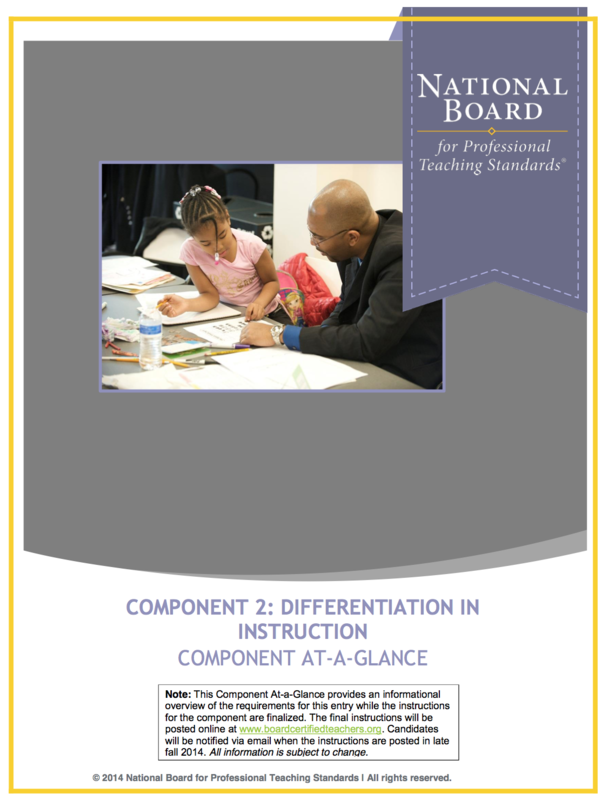 Your understanding of the Architecture of Accomplished Teaching is woven throughout this discovery and analysis process. This component is evidenced by two video submissions and a written commentary and analysis. They provide a glimpse of your instructional planning, pedagogical knowledge, and successful application of your practice to positively impact student learning. Consistency across both the videos and written commentary and essential, and provides a more compelling and convincing submission. The Institute has technology resources available to our scholarship reimbursement candidates to assist in the filming of the video submissions. This component is evidenced by portfolio submission of written commentary and analysis. 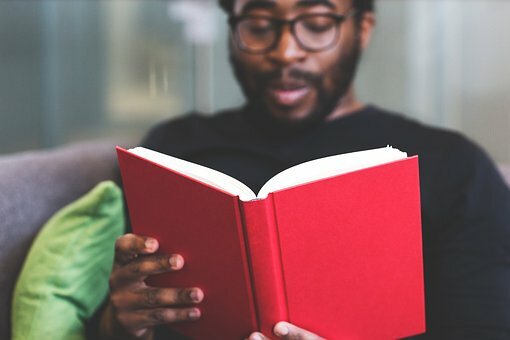 The focus of Component 4 is how well you are able to reflect on the unique characteristics of your students and effectively incorporate that knowledge into assessment and analysis practices. 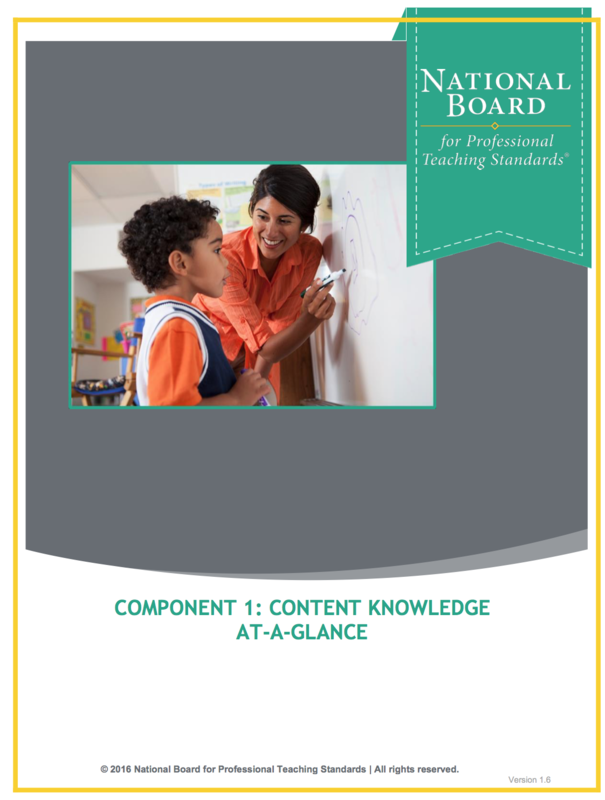 There are five key aspects of Component 4: knowledge of students, generation and use of assessment data, participation in learning communities, collaboration among the listed aspects, and reflection. Various types of formative and summative assessment techniques are applicable, with in-depth synthesis and analysis recommended. Get started with the certification process.